There is a lot of controversy around at the moment with regard to certain groups who have instigated what amounts to a pyramid selling system within their organisation. 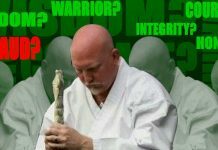 This sees the phenomena of a club instructor cold calling on people’s doorsteps, trying to entice beginners into the dojo. These club instructors are in the most, brown belts or below and not “qualified” black belts. Within their club they teach the rudiments of Karate whilst receiving instruction themselves at separate classes. Scandalous, I can hear everyone cry. And rightly so, but before we condemn out of hand lets look back at the origins of the majority of Karate in this country. I’m talking of the first wave of Japanese instructors. If you read the biographies of these guys, then the general theme is that they were asked to travel to foreign lands and help show the world what a wonderful thing Karate was and how its practice would harmonize the world. It’s a fairy tale! They came over to these and other shores, with a business plan rolled up in their back pockets. The plan was very simple. 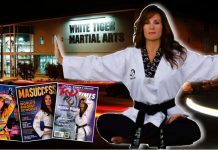 Open as many dojo as possible therefore creating a ready market for gradings, courses and licence fees. I have direct experience of Japanese seniors asking green and brown belts to go and open their own clubs in an untouched area. If the suggestion was refused then a very cold shoulder was offered. You can sympathize with their plight. Little language skills, the need to earn a living, the calls from the honbu dojo asking for their cut. Lots of pressure in itself without Mr so and so from that other ryu creating the competitive market at the same time. The start up period is a tough time for any business. However, they were very fortunate in that the west was falling in love with the east at the same time, so the attractiveness of this mysterious art was magnified. But isn’t this exactly the same as the pyramid selling of today? The only difference is that at that time there were no alternatives whereas today we have black belts coming out of our ears. Now, please don’t get me wrong. I’m not slating the Japanese unduly. I’m devoted to Budo and acknowledge the debt we all owe these pioneers. There are Japanese instructors out there that deserve to be revered but there are more that don’t. No different to the westerner. 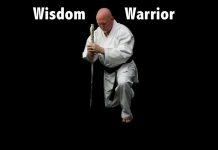 Those pioneers created a culture that has developed and on one hand produced western masters for want of a better phrase, and on the other hand produced 25 year old karateka calling themselves Hanshi or Shihan! I just want to cut through the misty haze of romantic delusion and recognise truth and reality for what it was, a good business plan and a good business model! 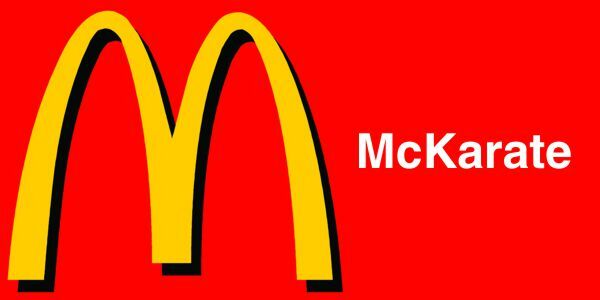 If you take the word karate and change it to hamburger, then the plan could have been belonged to McDonalds. Trevor Streets studies Wado Ryu Karate, Muso Shinden Ryu Iaido, Koryu Jyu Jutsu and Yang Style Tai Chi. 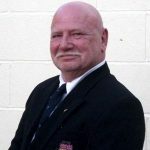 Ronnie Colwell, recognized 9th Dan in the arts of Karate-do and JyuJutsu, spent a lifetime pursuing knowledge on fighting systems throughout the world. Ronnie's CV included British military service, professional bodyguard, martial arts instructor to European and Middle Eastern royalty and special forces instruction.